In a time of transitory e-liquid brands, the London based vapers at Halcyon Haze set out to create a small but sophisticated range of timeless juices. Created by a flavour and juice team with many years of experience in e-liquid, each juice has been put through a painstaking and rigorous process of creation. Every flavour in the brand contains carefully picked ingredients matched and blended to create complex juices full of taste. The result? Quintessentially English flavours, each inspired by a typical London character, such as Northern Lights, the sophisticated dandy with more than a hint of reprobate about him. 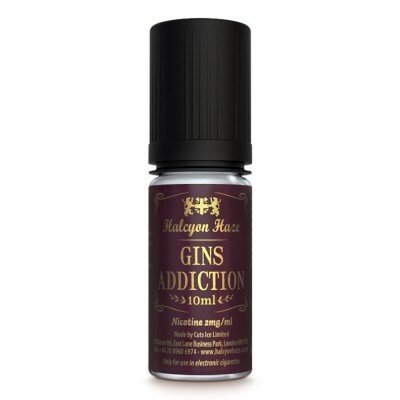 The Halcyon Haze ejuice flavours here contain a VG:PG mix of 50:50. This makes them ideal for mouth to lung vaping and pod systems - a nice touch in a vape world where more higher end flavours are usually dominated by high VG juices. All Halcyon Haze e-liquids are produced using the very best food grade ingredients and pharmaceutical grade EU sourced nicotine, sourced in the UK from audited suppliers. All the e-liquids have undergone extensive toxicological testing to ensure they maintain the very highest e-liquid standards. All products have been tested and approved by accredited UK laboratories and are sold in child resistant and tamper evident bottles. Halcyon Haze products have passed review by the UK Medicine and Healthcare Regulations Authority and are sold across 22 European countries.